HD CCTV Security Camera Systems provide High Definition resolution at a manageable cost. With the advent of UHD-CCTV, CCTV cameras can now produce high quality images -- including 4K UHD -- without sacrificing the low-cost and reliability. HD-CCTV camera technology has spread out among various manufacturers. There are several variations in the market (HD-TVI, HD-CVI, HD-SDI, AHD). This means that for an HD-CCTV system to work properly, both the cameras and the DVRs must share the same technology. For more information on HD-CCTV technology, please see this article. WHY CHOOSE HD-CCTV OVER IP SECURITY CAMERA SYSTEMS? HD CCTV technology is the response from conventional CCTV camera manufacturers to IP camera manufacturers. If you are used to conventional security camera systems. HD CCTV systems are compatible with conventional analog CCTV cameras. If you bought cameras before 2010 or if you have coax cable (look at the cord behind the TV that goes to the cable box) in your existing security system that means you have conventional analog CCTV security cameras. If you buy HD-CCTV security system, you can upgrade your existing analog CCTV security system without sacrificing your coax infrastructure. HD CCTV surveillance systems are more affordable compared to IP Security Camera Systems. If you are putting together a new system, you are looking for more affordable option, HD-CCTV systems are much more affordable with very similar functions. On average, same number of cameras will cost you 30% less if you buy HD-TVI systems. HD CCTV technology has limited max. resolution. HD-CCTV technology has upper limit of 8 Megapixel (4K) as of 2017. IP Security Camera Systems can record and stream as high as 50 Megapixel. Manufacturers of HD CCTV keep the borders very strict so you are not able to use a different technologines one system. For example, you are not able to take out HD-CVI camera and plug it into HD-TVI DVR. We have upgraded hundreds of old analog CCTV systems with HD CCTV systems. This upgrade can be complicated and cause lots of issues and money waste. We design HD CCTV systems for brand new purchases. 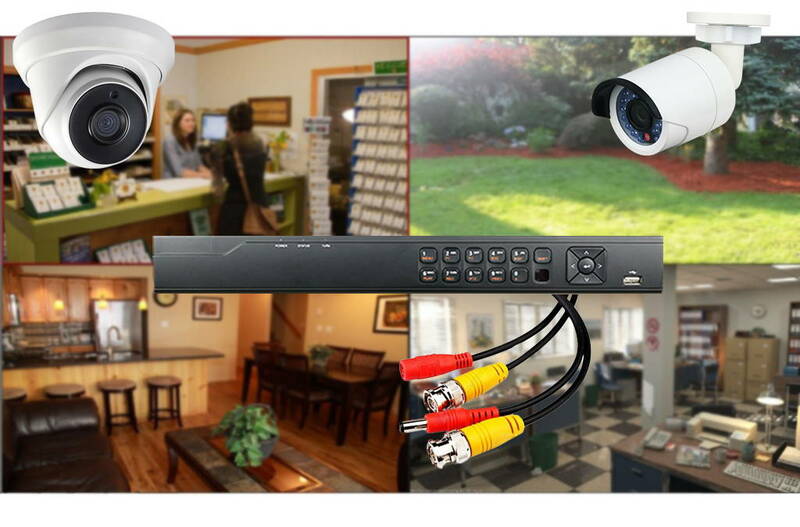 A1 Security Cameras has a team of expert consultants here with years of hands on experience. When we mean "hands on experience", we mean climbing up the ladder, running cables, testing security cameras of all sorts and the whole nine yards that you will have to do to install security camera systems. We are more like Home Depot when it comes to security cameras. We have the expertise when you have to make a decision between brands, technologies, products.